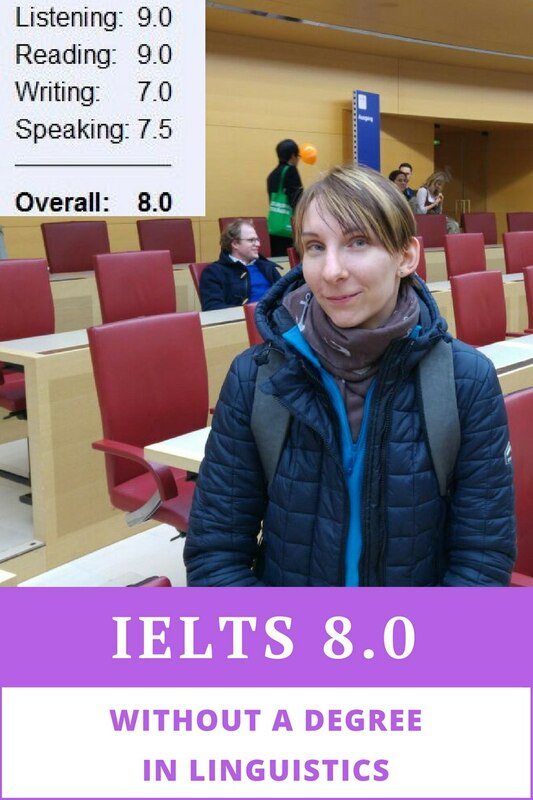 Academic IELTS 8 without a degree in linguistics. Part 1. Background. Preparation time. Listening and Reading. This is a guest post from my student Nadya Borisova. Enjoy! 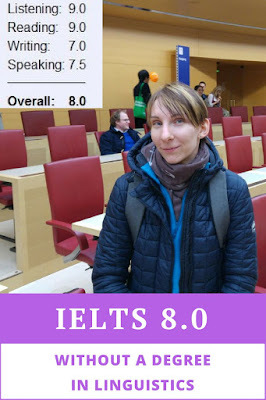 Hi there, my name is Nadya Borisova, and I’d like to share my experience in getting 8.0 in IELTS Academic as well as my list of top-5 resources for preparation. My first attempt was in 2014. At that time, I wanted a clear understanding of my level. So I tried a mock IELTS test with no preparation at all, got Overall 5.0, and decided to get better results in a real one. The second test followed two years later. Two years ago I worked as an IT recruiter, now I’m a copywriter. I don’t have a university degree in languages, nor did I go to the school focused on English language. I went to an ordinary school with two hours of English a week. Most of the learning after that, I did on my own. I think setting a clear deadline is crucial. You can prepare for an exam forever, but you need the result to some point in time, right? I personally gave myself three months to prepare both times. For me it’s ideal timing. More makes me lazy, every day I think, “I still have a lot of time, I’ll start tomorrow”. Less, I may not have enough time to actually improve my scores significantly. 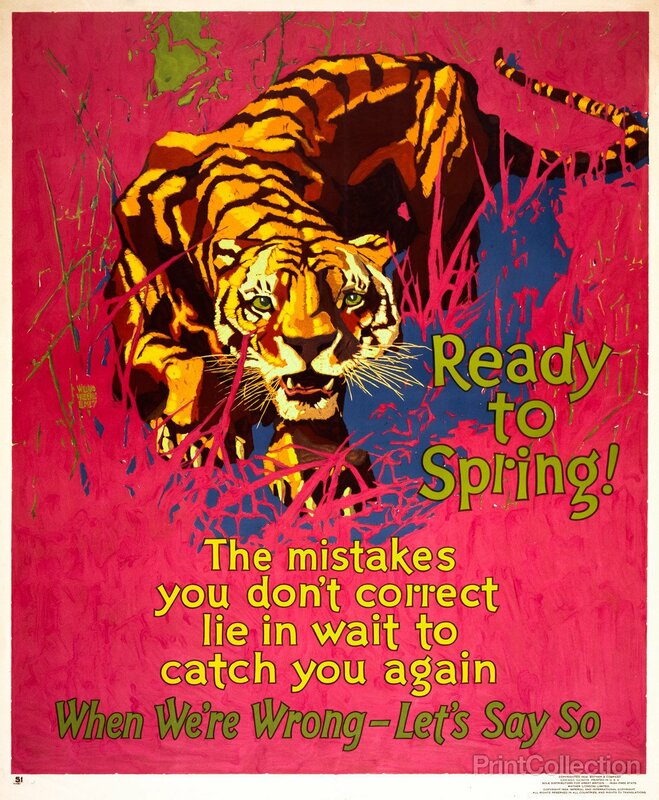 For you timing might work differently, but still, I suggest you give yourself enough time and set the exact test date. Booking your place in advance might be a good idea. You have to keep in mind that you cannot achieve overnight success in learning a language. Like in a gym, you have to grow your language muscles by working out every day. The process is not easy, nor is it quick. There’s no magic, only hard work… and a little bit of luck at the test. A significant part of your score is how familiar you are with the test, how well you know the techniques and approaches. But hey, IELTS is a language test after all! I got 9.0 for Listening last time, and to be honest, I was surprised. 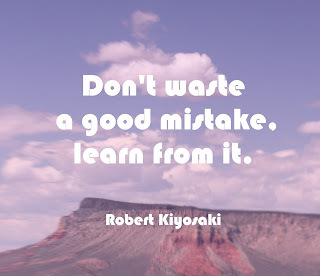 I knew I was good at listening, but I thought I actually made a couple of mistakes. There are lots of online radio stations and podcasts available that are helpful in IELTS prep. I listened to BBC Radio. Tried CNN, but didn’t really like it. I also listened to TED Talks, and I must say that gave me a huge improvement. Not only did I learn to understand different accents from all over the world, but I also got lots of valuable information for speaking topics. 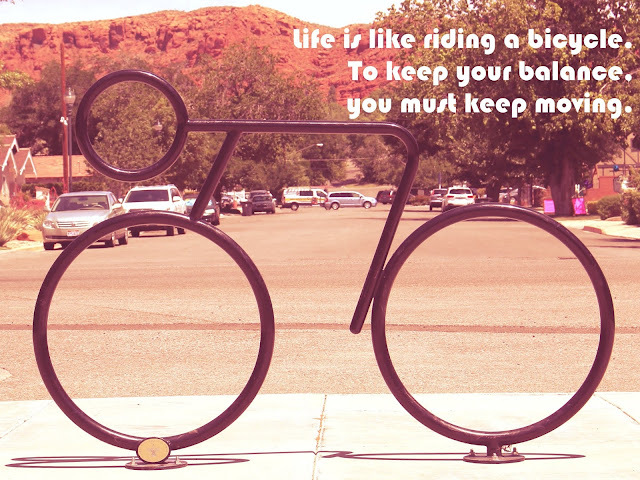 One more tip is to learn to move on if you missed some answer. This is a must. You missed an answer — go ahead. Lastly, don’t be surprised or distracted if you've answered the last question in the section and the recording still goes on. Such situations are common, so nothing to worry about. Focus on the next task instead of trying to find where you’ve done something wrong. Remember, you’re on a tight schedule. One more 9.0, which was not a surprise for me. I like to read, and by the time of the exam I was reading in English just as easily as in Russian. So I can advise reading books you like, no matter what genre. Every time I needed to learn something, say, related to my work, I opened Wikipedia and — yes! — read this article in English. A good idea is to learn how to scan a text for dates, names and other keywords, which makes some questions really easy to answer and gives you more time to focus on harder ones. Finally, a small thing which is not related to the language knowledge at all, but which improved my scores in Listening and Reading significantly. I often made mistakes while transferring answers from the question booklet to the answer sheet. Even when I circled answer B in the booklet, somehow in my answer sheet I put C or D. So I started not only to circle the right answer, but actually write down the letter in the booklet near the question. Believe it or not, this improved my mark at least by 0.5. You can prepare for Listening and Reading on your own. Truth is, you need to work hard. You need to surround yourself with English, which will help you to get high marks in Listening and Reading sections. You can prepare for free as there are lots of online resources. Stay tuned for Part 2, where Nadya is going to talk about Speaking and Writing.